This blog post was contributed by Web Webster. So you’ve gone and done it. You’ve struck out on your own to form a marketing agency. Or your side gig has become your main gig. 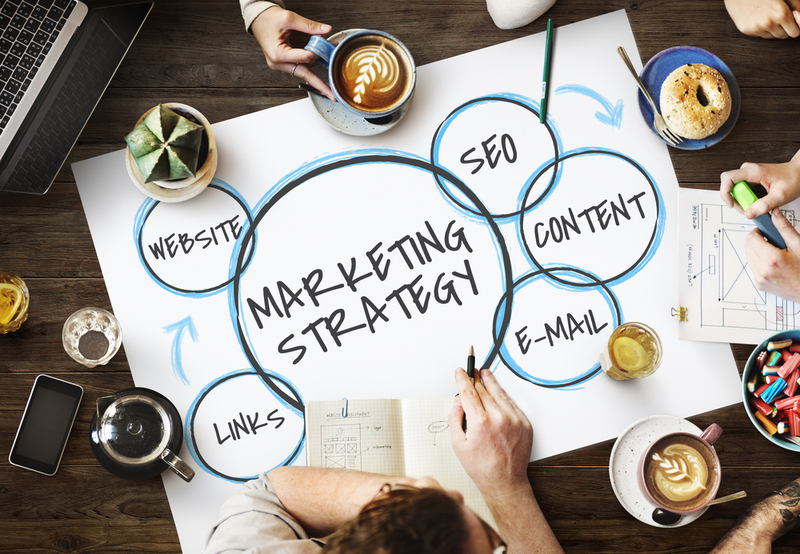 Or among your three partners, you’re the one with “the head for marketing.” No matter why you find yourself at the helm of a new marketing operation, you’ll quickly find that the name of the game is balance. Balance between daily tactics and long-term strategies. Between nailing down every detail and letting some things ride. Or between carefully calculated initiatives and well-timed Hail Marys. No matter how big (or small) your operation is, success comes from mastering marketing’s fundamentals and using the newest Big Data-driven tools to put your thinking to work most effectively. By 2023 (that’s just five years from now, folks) spending on marketing automation technology and solutions will top $25 billion annually. By the end of 2019, two-thirds of the world’s digital display advertising will be traded programmatically – a combined ad buy of $84.9 billion, according to Publicis Groupe Zenith’s Programmatic Marketing Forecasts. But that’s all for big companies, with full marketing departments and multi-million dollar budgets, right? Well, the little guy has to compete somehow. Google “shoestring marketing” and you’ll get more than 1.8 million results back in less than a second. The net-net? There’s a lot to know. Pour yourself something cold and relaxing. There’s a brave new world out there facing the marketer with huge dreams, huge-er goals, and limited resources. Happily, however, the fundamentals of marketing remain largely unchanged. Know your audience. Speak to them with a clear, consistent voice. Tell relevant, memorable stories. Be appreciative of your buyers. Critical thinking, informed by solid data, is still at the core of any marketing initiative, regardless of size. What’s changed is the tools and methods to turn your ideas into clicks, conversions, and engaged consumers. What a cliché, right? But clichés endure because they all carry an element of truth. Getting your message right—who you are, what customer-need shaped hole you fill, why you’re better than your competition—is the most important thing you can do in the (hopefully) months and weeks before your idea/product/service/company goes public. There are thousands of approaches to nailing down your message, but they all share some questions in common. Your Audience: Who are you talking to? What do they care about? What do they want? What do they do now? What do you want them to do instead? Your Product/Service: What is it? In what concrete ways does is help your Audience (see above) do what they want to do? Your Channels: Where do you connect with your Audience? It seems simple enough. But you’d be surprised how many marketers (the author included, sometimes) have a hard time boiling their offering down to a single, simple statement like this. But with a few sleepless nights and dozens of revisions, you’ll nail down your Message. It will ring true like a bell. And with that, the rest is easy. Knowing what you’re going to say is important. But you need a phased plan to know when to say it. That’s your buyer’s journey through the sales funnel—from Awareness and Interest through Decision and finally, Action. Whether you call it a marketing plan or a content calendar, having a set sequence of actions and assets in place is crucial. Knowing what messages you plan on delivering, and what channels you’ll use to deliver them based on the buyer’s readiness, is key to running a successful marketing operation no matter how many (or few) of you there are. This kind of scheduling is a key component of many marketing automation platforms. Marketers decide which marketing messages and assets to serve the prospective buyer, then put triggers in place to send emails, serve up different sets of ads, make various kinds of content available and more. Of course, you can do all of your planning on a spreadsheet. A surprisingly large number of companies still do. But when your prospect takes days, weeks, or months to move through the funnel, you need a more robust solution. No matter what, marketing works through repeated exposure to relevant, consistent messages. Often no matter how solid the core of your marketing messages is, incremental changes are needed. Maybe A/B testing reveals a better way to articulate a point of difference in a display ad. Or an email with a compelling subject line gets crazy open- and click-thru rates. The ability for your creative staff (or you) to easily create, modify, and deploy assets in response to this constant feedback loop is crucial to running your efficiency-sized marketing operation. That’s where digital asset management really steps into the limelight. Whether it’s a robust standalone platform, or an integrated part of a marketing automation suite, digital asset management takes the guesswork out of asset approvals, deployment, and management. Too, digital asset management makes it much easier to keep track of the iterations of visual and copy assets you’ll be creating to satisfy the dizzying number of formats required by the multichannel marketing universe you now call home. Where marketing automation really shines is in gathering intelligence and giving context to prospects’ and buyers’ behaviors based on actual online activity. Tracking codes embedded in emails, web pages, videos, downloadable content and social media of every sort creates a rich and complex set of data points on a given consumer’s behavior. Aggregating all of that data and helping you visualize its implications is a key role for marketing automation platforms. Simple analytics will show who did what when and from where. But the real action happens as the data set grows, and the data allows you to begin making predictions of future actions based on past behaviors. Put another way, say you know that people who watch more than 45 seconds of your video make a purchase ten times more often than those who only watch 30 seconds. You might decide to make changes to creative and promotional messages to encourage the 30-second crowd to stay engaged AND to reward the 45-second crowd. Marketing automation is streamlining and supercharging nearly every aspect of selling. As a marketer, your ability to collect, learn from, and act on a universe of data has fundamentally changed the way you market. Don’t let the tools overwhelm you. Marketing is still a fundamentally human discipline. The machines can provide information and guidance in a dazzling variety of ways. But the most important element of your nimble-by-necessity marketing operation is what you bring to it. That’s how you launch a marketing department, even if you have never marketed before. Web Webster is a writer for TechnologyAdvice.com, covering technology, marketing, education, and healthcare for companies across the US. As the marketing lead for Web Webster Worldwide, his one-person creative firm, Web knows a thing or two about marketing on a shoestring. The post Launching Your Marketing Department: A Beginner’s Guide appeared first on Bizness Apps.